There have been recent appointments in the judiciary across four states including the High Courts of Punjab & Haryana, Jharkhand, Orissa, and Patna. These courts today increased their strength through the appointment of additional judges. Justice D H Waghela, previously the Chief Justice of the Karnataka High Court, has been appointed as the Chief Justice of the Orissa High Court. The Patna High Court saw the appointment of two additional judges Justices Nilu Agrawal and Sudhir Singh. 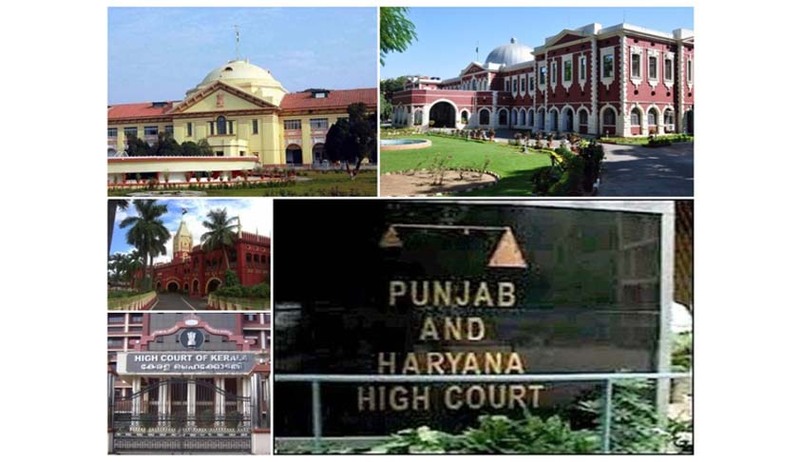 Ramendra Jain was appointed as an additional judge of the Punjab & Haryana High Court, while Ratnaker Bhengra was appointed as an additional judge of the Jharkhand High Court. The Orissa High Court also added the appointment of three additional judges – Justices Krushna Ram Mohapatra, Jatindra Prasad Das and Dr. Durga Prasanna Choudhury. The Madras High Court saw the elevation of eight additional judges to the post of permanent judges. Justices Pazhayanur Narayanan Prakash, Pushpa Sathyanarayan, Kandasamy Kalyanasundaram, S. Vaidyanathan, R. Mahadevan, V.S. Ravi, Gopalakrishnan Chockalingam, and V.M. Velumani were all promoted as permanent judges. Moreover, Justice Rajiv Sharma was transferred from the Allahabad High Court to the Calcutta High Court. Importantly, the Kerala High Court held its swearing ceremony on Friday appointing seven judges, an unprecedented move. Another peculiarity is that the seven new judges who have joined the bench at the Kerala High Court include an engineering graduate and a PG Diploma holder in Journalism, besides being law graduates. Chief Justice Ashok Bhushan administered the oath of office while Advocate General K P Dandapani, Kerala High Court Advocates Association president John Varghese and Director General of Prosecution T Asaf Ali were also present to grace the occasion.